Soft light of the lantern returns you back to the good old days of childhood. Living in the age of electricity and neon signs you can't help but wonder - why is this old lantern so precious to me? Is it because of the spooky stories told around it? Or is it because of that strange smell of kerosene that seems so mysterious to a five-year-old? Remnant of the past, this brass lantern lights up memories and burns with nostalgia. ...... Living in the age of electricity and neon signs you can't help but wonder - why is this old lantern so precious to me? Is it because of the spooky stories told around it? Or is it because of that strange smell of kerosene that seems so mysterious to a five-year-old? 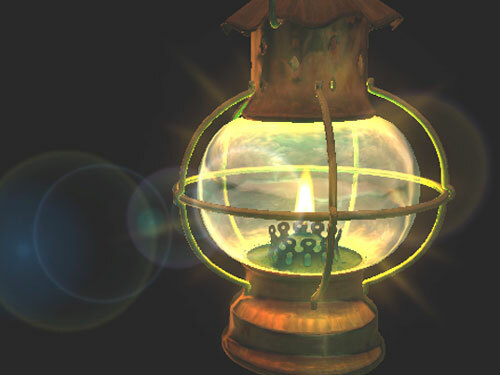 Remnant of the past, this brass lantern lights up memories and burns with nostalgia. Qweas is providing links to Lantern 3D Screensaver 1.2 as a courtesy, and makes no representations regarding Lantern 3D Screensaver or any other applications or any information related thereto. Any questions, complaints or claims regarding this application Lantern 3D Screensaver 1.2 must be directed to the appropriate software vendor. You may click the publisher link of Lantern 3D Screensaver on the top of this page to get more details about the vendor.